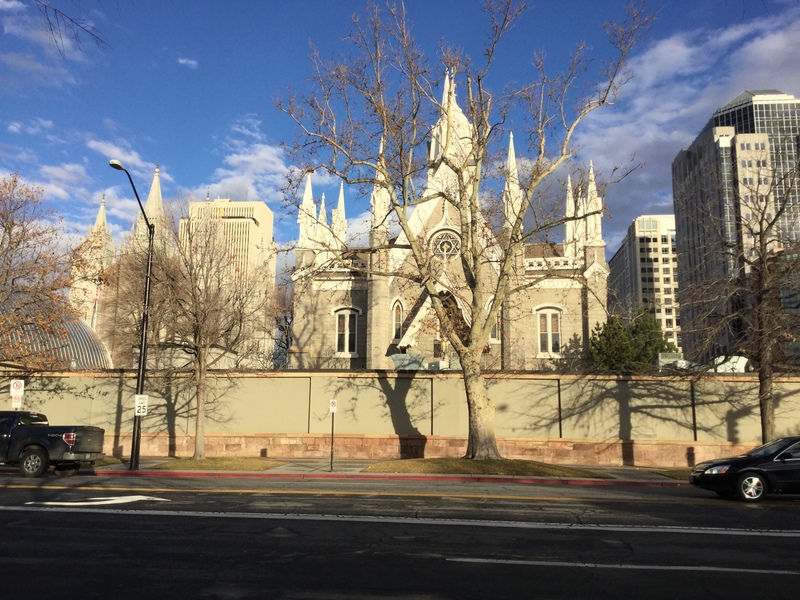 After my intense post this morning on ethics, genealogists and conferences, I hope you enjoy the light relief from my about-town photos of Salt Lake City. 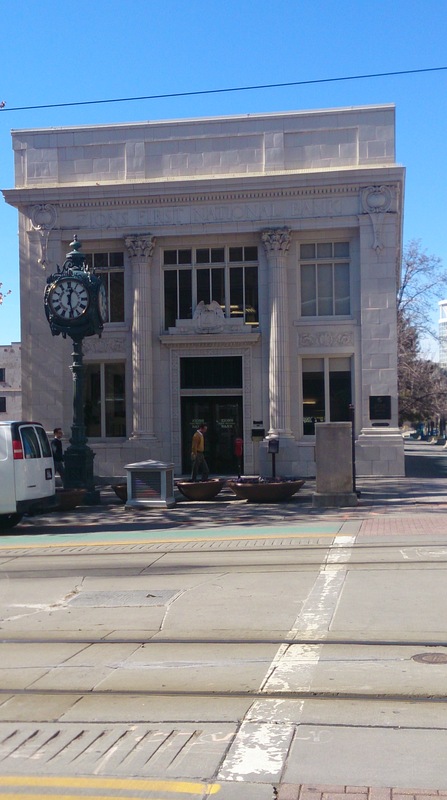 The Zions First National Bank is such a pretty building. I’d have liked a better shot, but time was short and traffic was tricky. 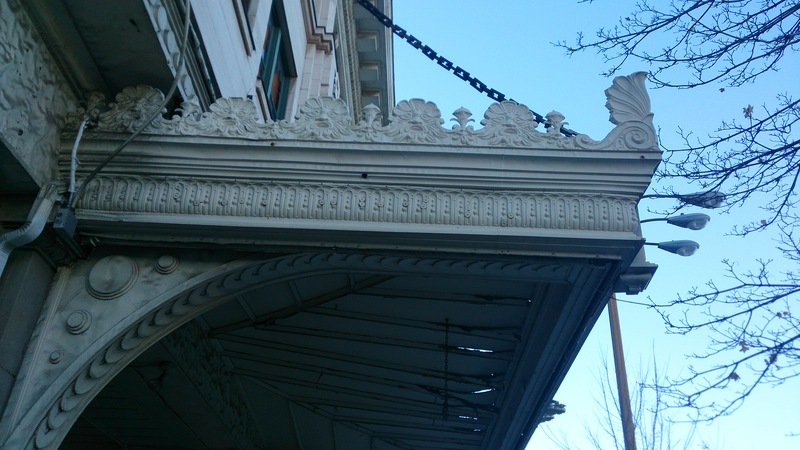 This awning on a semi-derelict building near the Hilton Hotel kept catching my eye. 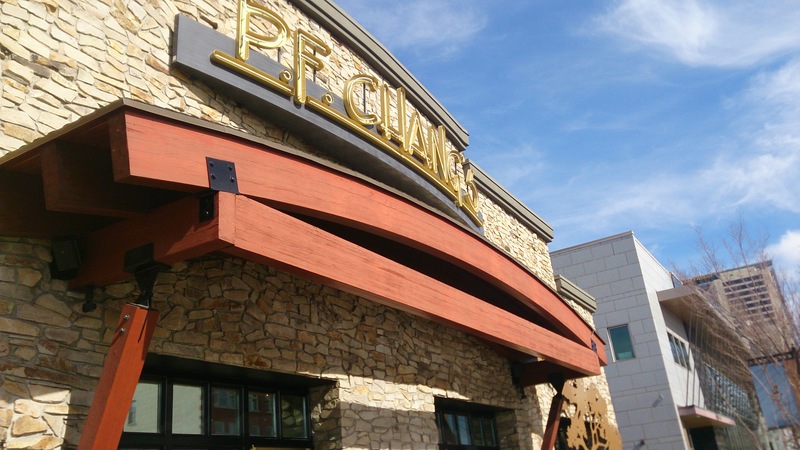 Check out the faces framing the awning. They make ’em big in the USA. 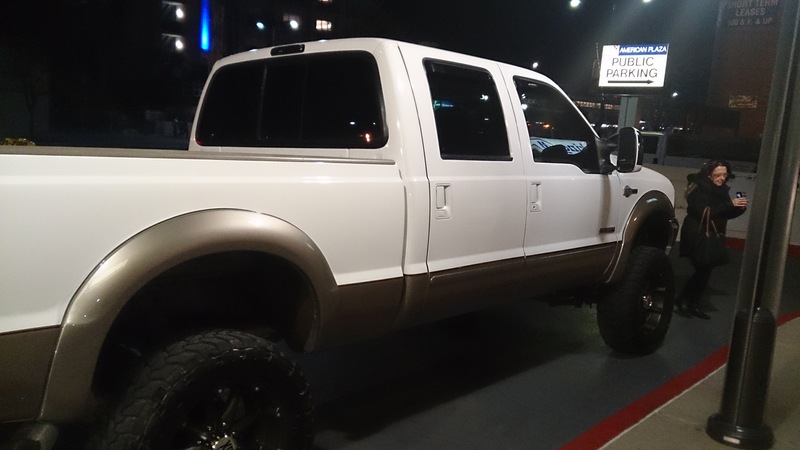 My friend Sharn is dwarfed by this Ford 150. Salt Lake Temple in Temple Square. I made these two collages with Pic Collage, having been shown it by my new friend Laurie from Confuse the Dead (and also an FGS Ambassador). Thanks Laurie, it was as easy as you said, and good fun as well. I now have it on the iPad and the smart phone. Socialising in Salt Lake was interspersed with serious research and learning. I hope you’ve enjoyed this little detour from serious genealogy. 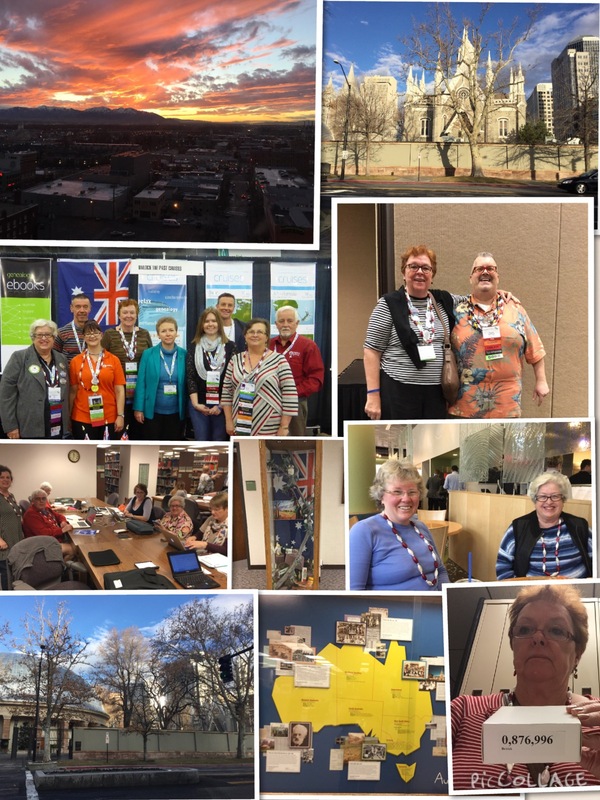 This entry was posted in RootsTech/FGS, Travel and tagged RootsTech 2015, Salt Lake City, sightseeing by cassmob. Bookmark the permalink. I enjoyed the architecture and mountain scenery. Thank you for tip with PicCollage. So easy! Apparently those F series vehicles are really popular. They are so big and imposing!! !I Really enjoyed your pics as I never took that many as I was often talking and walking with others. You have been blogging heaps! 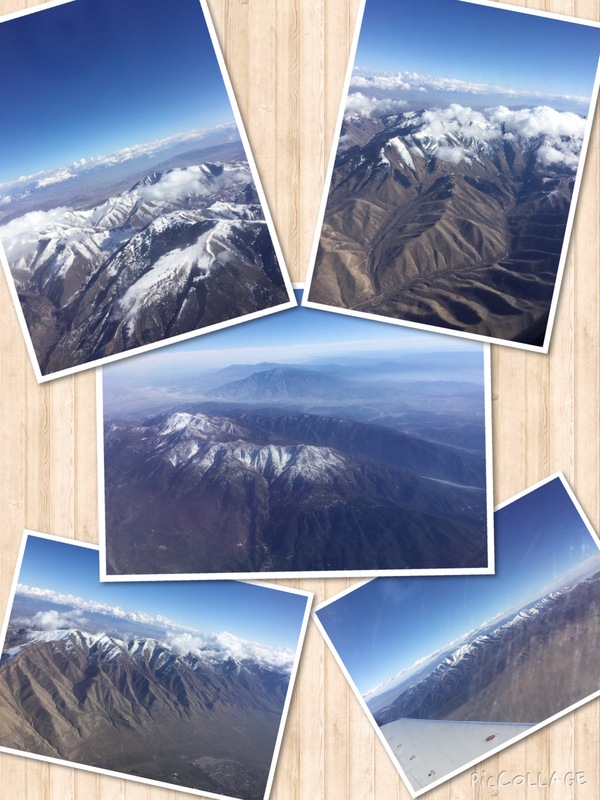 I don’t think I have ever seen photos of Salt Lake City before, so thanks for the shots! You’re welcome Angela…I really only saw parts of the CBD and the mountains in the distance.